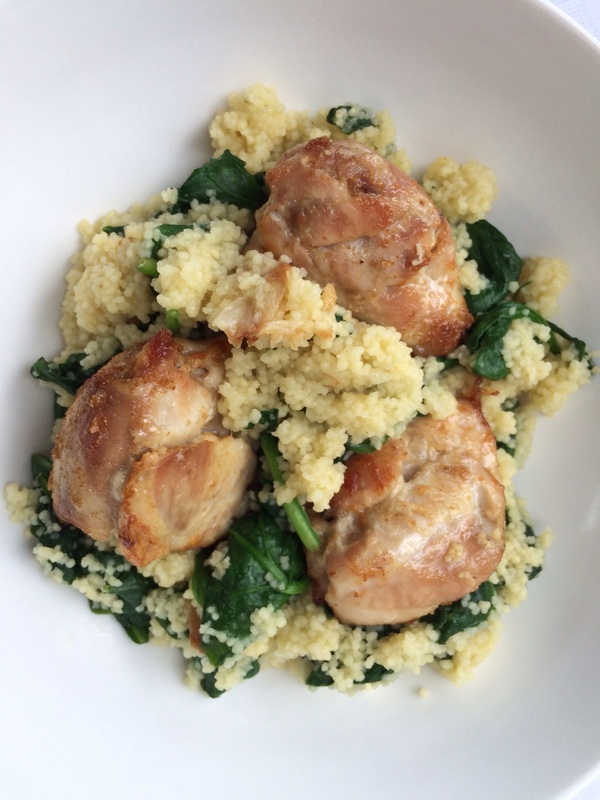 Spicy chicken thighs with spinach couscous. 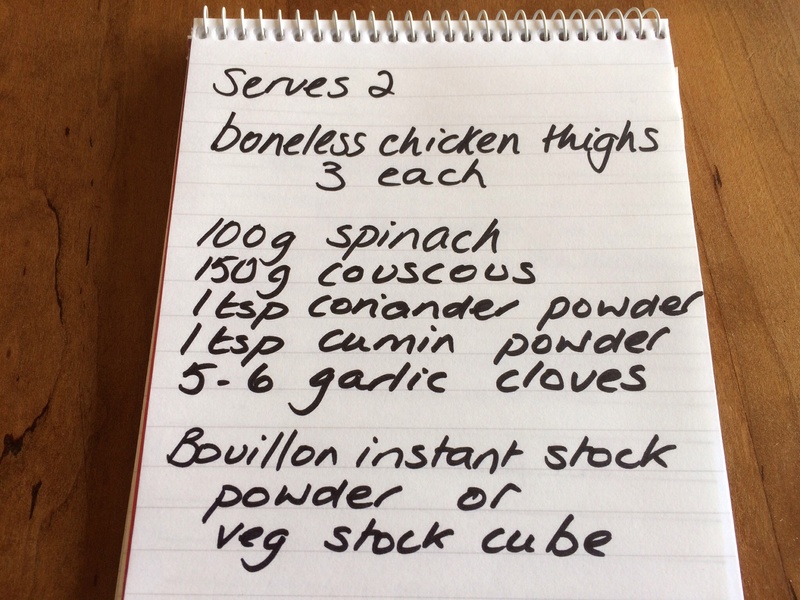 A tasty supper dish, chicken thighs seasoned with cumin and coriander and roasted garlic and served with couscous. 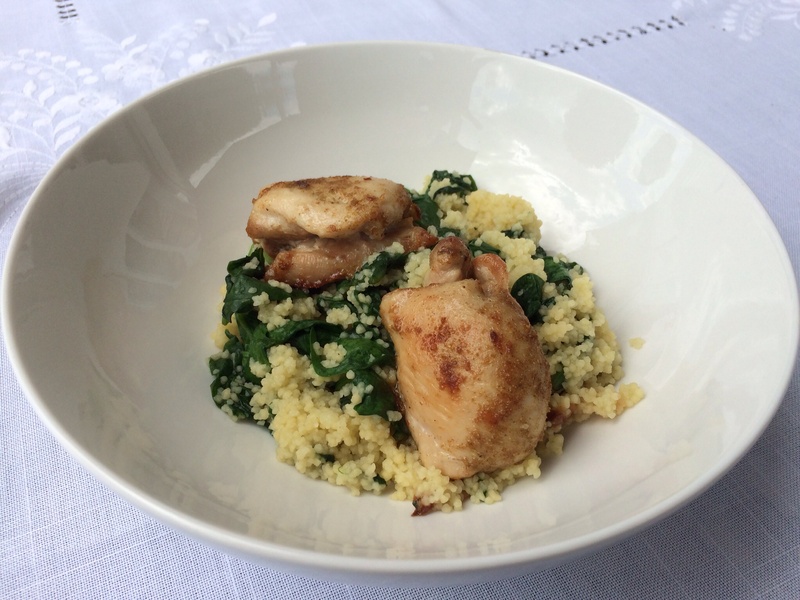 Chicken thighs are nice and moist and go well with the couscous salad. Put your oven on 190c. Season the chicken with cumin and coriander and salt and pepper. Roll them back into little neat shapes and place in a roasting tray, with a drizzle of olive oil, and the garlic cloves. Bake for about 20 minutes, turning once or twice. In a pan mix 125g of couscous with 250 ml boiling water. I like to add a little Bouillon powder to give a bit of flavour (about 2 tsp), or you could make up 250 ml of veg stock instead of using the plain boiling water. Fork the mixture and add the spinach (a little at a time) until it is all combined and the spinach has wilted. When the chicken is ready, skin the roasted garlic cloves and add to the couscous. Serve up with the chicken placed on top of the couscous salad. Nice with a little hummus and a piece of pitta. ← Sublime basil ice cream, summer on a spoon.